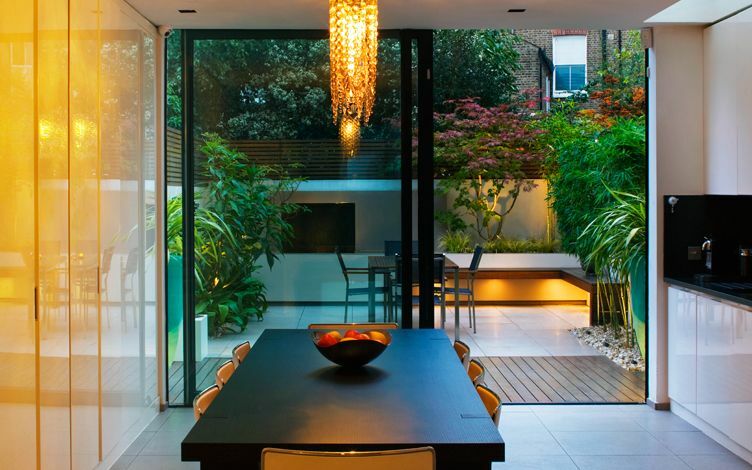 This Fulham residence is entirely elongated, where continuous sight lines form clear vistas, accentuated by a granite waterfall designed as a focal point within a minimalist back elevation. 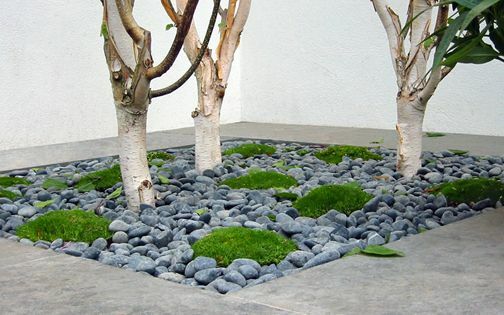 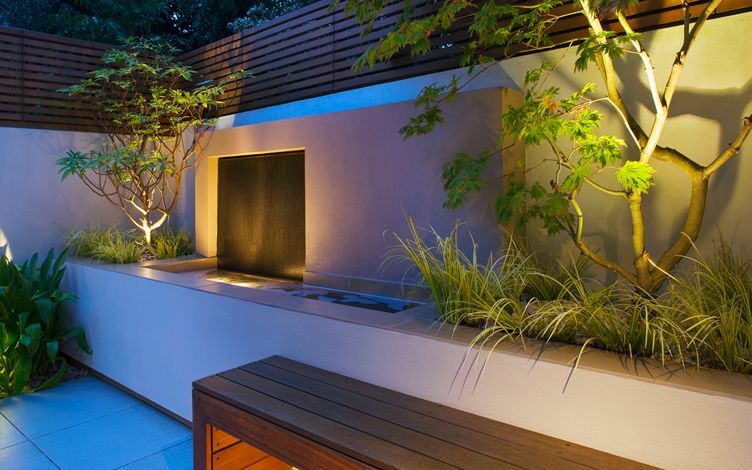 The garden design's simplicity and clean-lined surfaces are further elevated in their finer architectural details, conveying a dynamic indoor-outdoor sequence, appreciated from every vantage point. 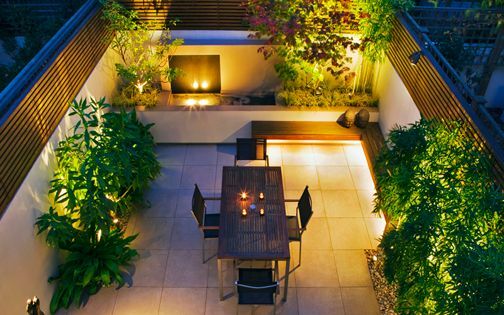 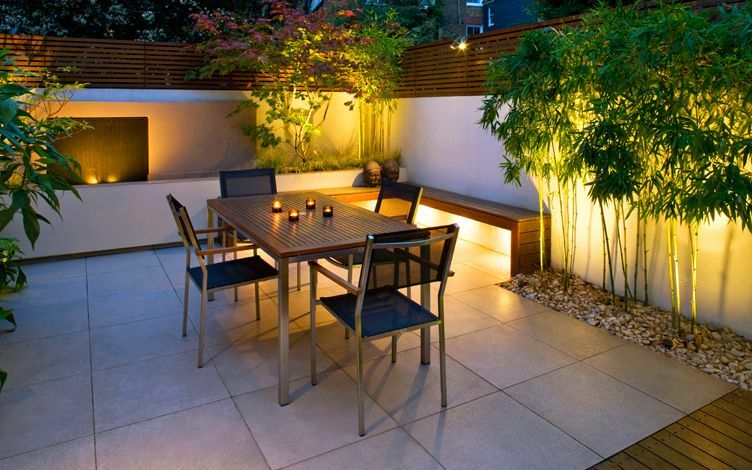 At dusk, this revitalised urban garden is transformed into a warm and intimate landscape afterglow – abundant in refined design nuances and sculptural definition. 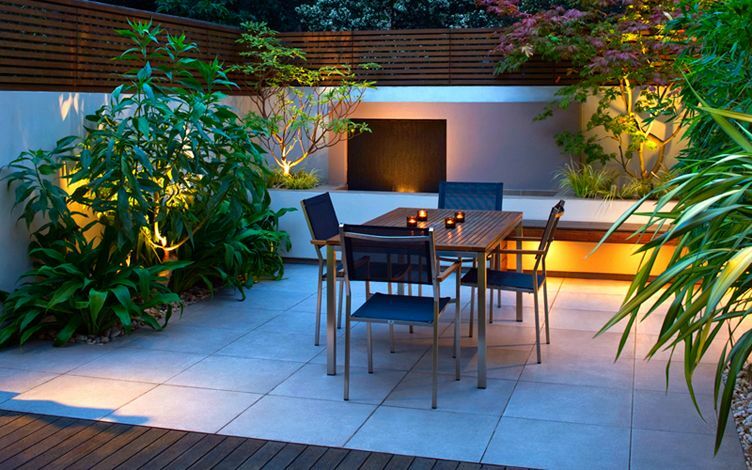 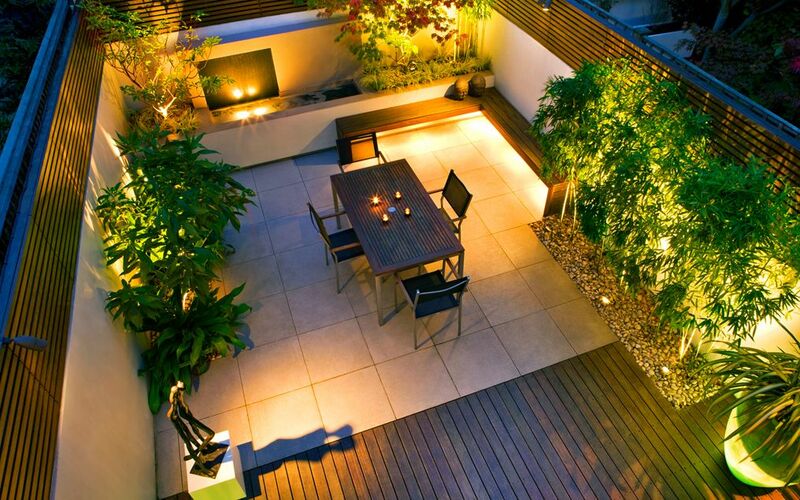 Designing urban London gardens encompasses countless complex objectives, such as liaising with neighbours, confined access, site logistics and creating designs which thrive in pollution and shade from buildings. 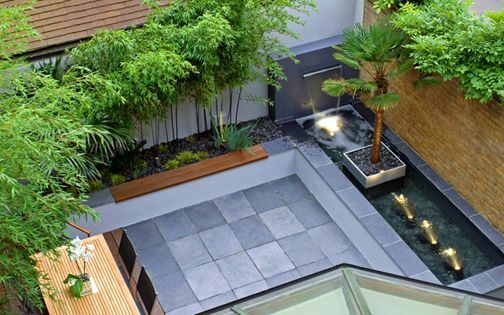 This Fulham project included redesigning the back garden, a new roof terrace, an indoor atrium and revamping the frontage. 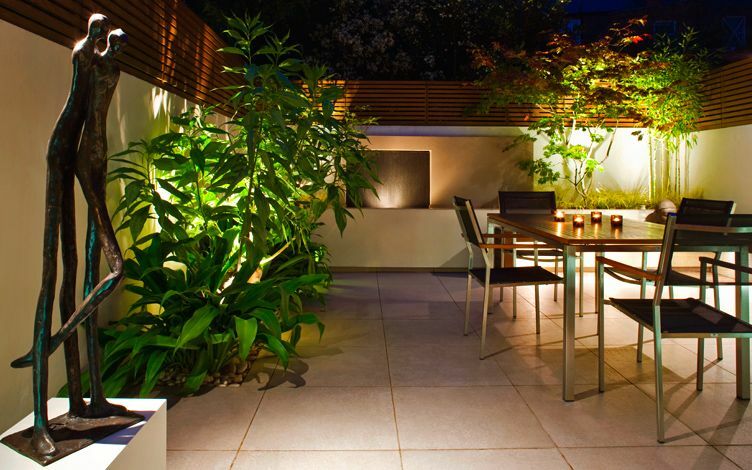 We began by merging the interior floor with the garden, utilising a silvery Italian tile featured throughout the residence. 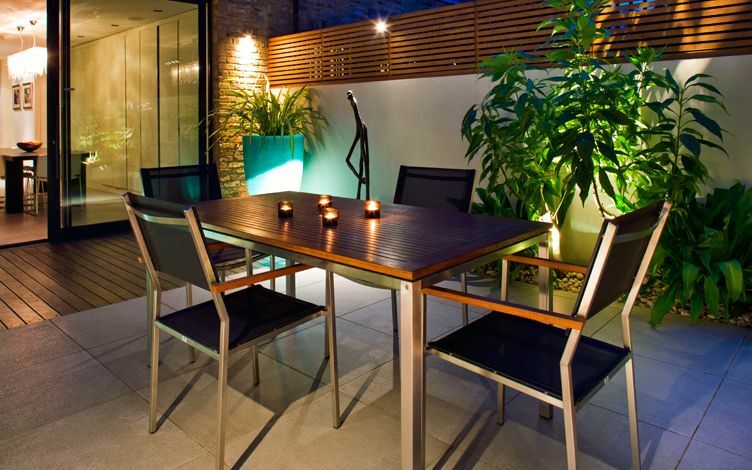 A hardwood deck creates a linear continuum, forming a transitional segment within a contemporarily designed London back garden. 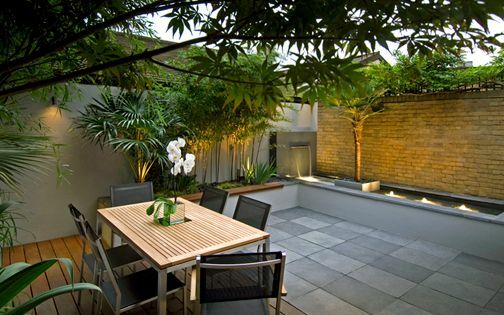 Given the home's narrow layout, its back garden wall is visible from the frontage. 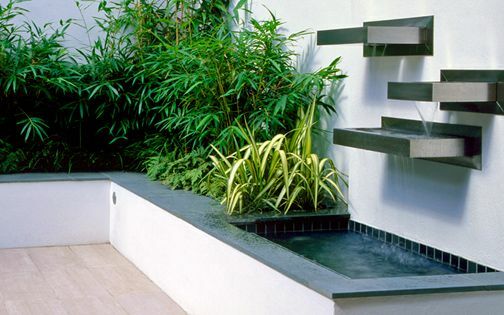 We designed a unique waterfall, framed by sculptural shrubs, where a gentle cascade flows into a lower pool – forming a distinct focal point while enhancing reflections and textural contrast. 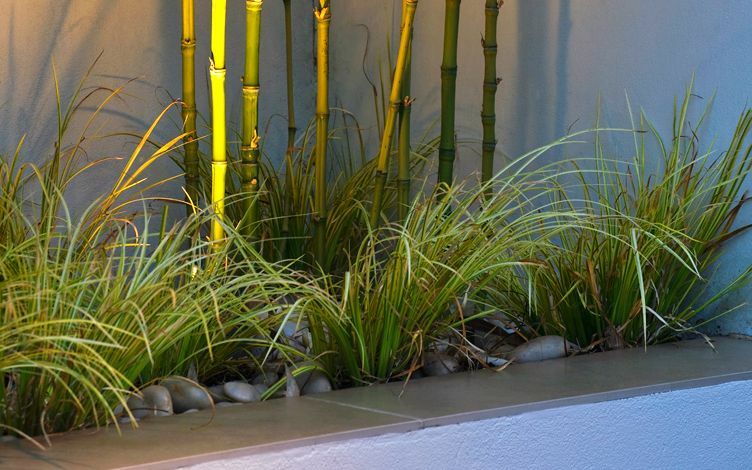 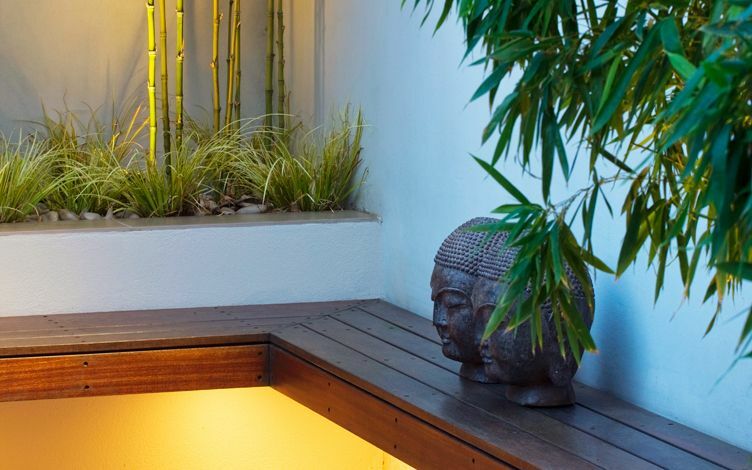 A symmetrical built-in corner bench overlaps this dynamic elevation to balance the composition, and merges with lush Bamboo foliage. 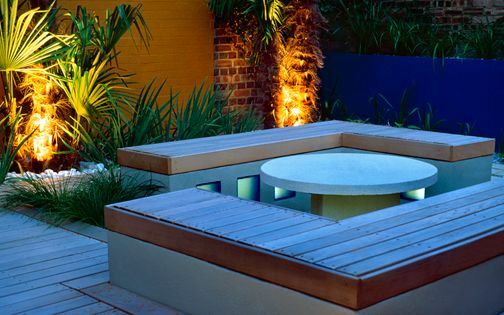 The cavity below the seat provides ample legroom and continuous surface fluidity, as vivid architectural outdoor lighting renews the garden's ambience into a captivating nightscape at sundown. 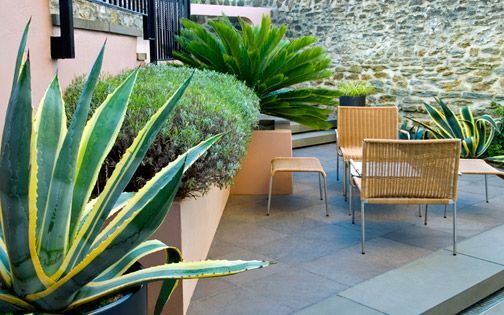 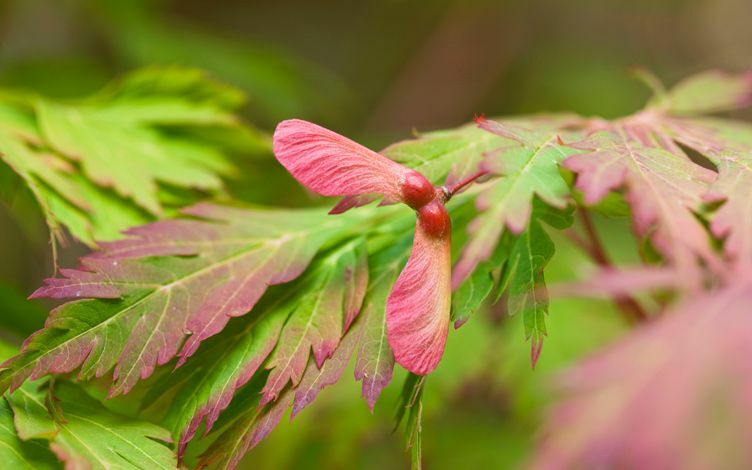 A garden's seasonal change is vital, and at times rather tricky to achieve in small city spaces, where many plant species are mostly evergreen, and yet, urban gardens should sustain a diverse ecological cycle. 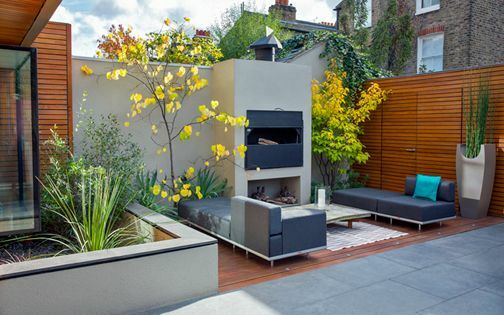 A graceful Japanese maple tree is featured in a floating raised bed beside the water feature, carpeted with variegated Sweet flags, while Edgeworthia chrysantha, the Paperbush, produces exceptionally scented flowers in wintertime. 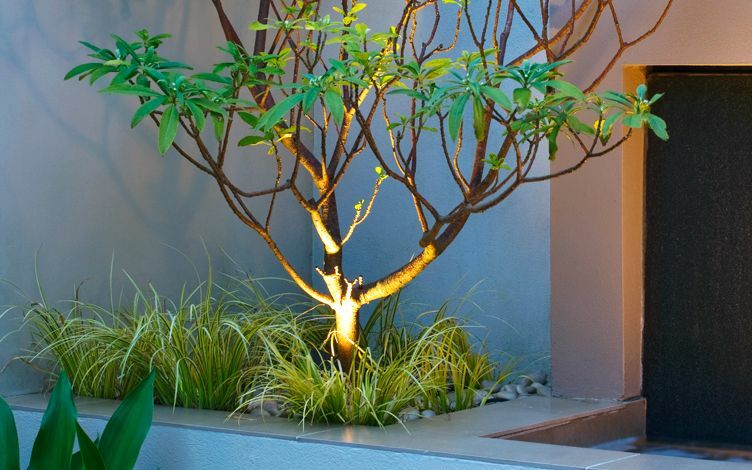 In the sunny planting border, Mexican lilies complement a tier of Chitalpa, the Desert Willow, which displays its large fragrant blooms in spring. 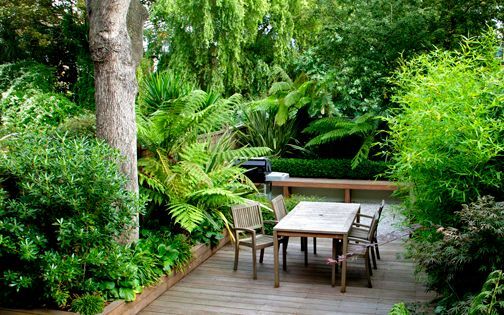 It's fascinating how various floras adapt and thrive in polluted urban environments, and continually revive precious wildlife within London's minimalist garden designs. 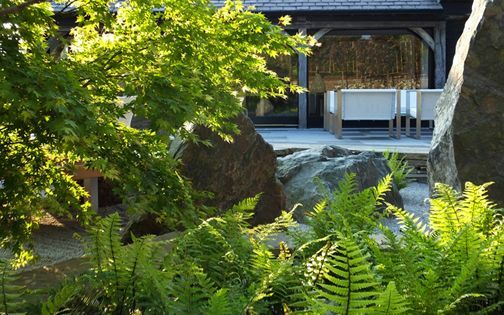 Privacy formed a pivotal factor in this garden design project, where custom-built Cedar cladding enhances essential seclusion towards adjacent gardens, defining a contemporary feature while emanating abundant natural light. 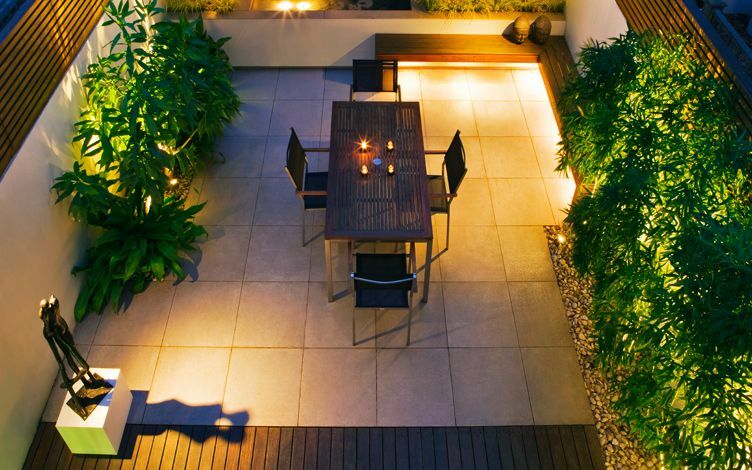 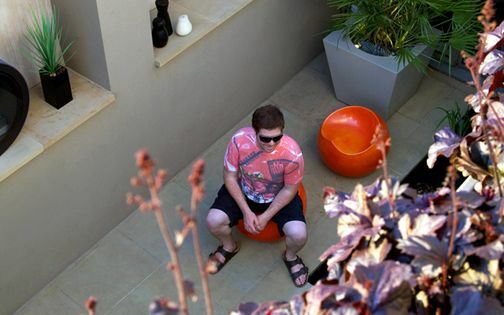 We built samples to achieve an agreeable pattern with the neighbours through a sympathetic garden design practice. 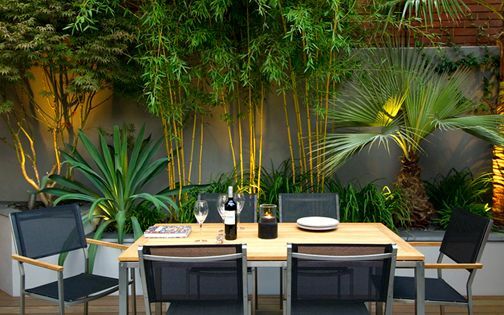 Tall, evergreen Bamboo augments scale, producing subtle movement and delicate silhouettes, generating refinement in this dense metropolitan part of South West London. 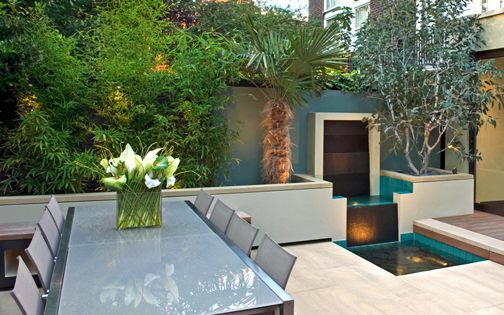 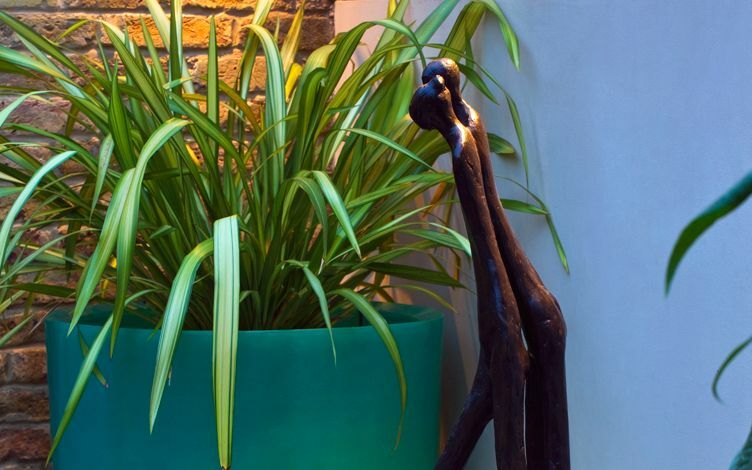 With flora and art from all over the world, and clients hailing from various parts of Europe, this cosmopolitan array forms a connective and soothing outlook within London's diverse, fiercely urban, outdoor lifestyle.